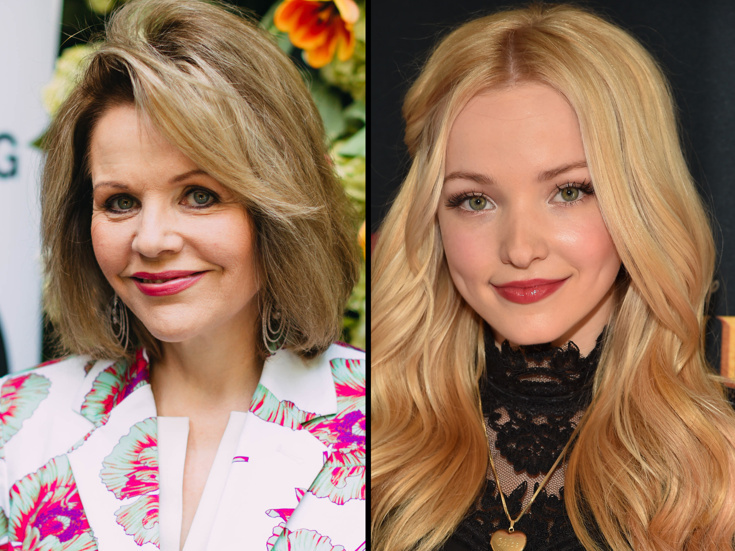 Tony-nominated opera legend Renée Fleming and Emmy winner Dove Cameron have been selected to star as Margaret and Clara Johnson in the London premiere of Adam Guettel and Craig Lucas' six-time Tony-winning musical The Light in the Piazza. The new staging from Olivier winner Daniel Evans will be performed at Southbank Centre's Royal Festival Hall for 20 performances from June 14 through July 5, 2019. "I'm delighted to be a part of the London premiere of The Light in the Piazza," said Fleming in a statement. "Adam Guettel's score is ravishing, reaching beyond the boundaries of how we think of musical theater. For my London theater debut, to play Margaret Johnson—a fascinating, deeply human character whose predicament I find incredibly moving—this was an opportunity I couldn't resist." The Light in the Piazza follows Margaret (Fleming) and her daughter, Clara (Cameron), as they take in the wonders of Florence. A fateful gust of wind soon whisks Clara's hat into the hands of local dreamer Fabrizio Naccarelli. It's love at first sight, but Clara isn't quite what she appears, and soon they must all confront a secret that's been kept in the shadows for far too long. Fleming, a Grammy-winning opera star, earned a Tony nomination for her turn as Nettie Fowler in the recent revival of Rodgers & Hammerstein's Carousel. Among Fleming's other credits is Joe DiPietro's play Living on Love, which marked her Broadway debut. A recent Emmy winner for Liv and Maddie, Cameron was seen as Amber Von Tussle in the TV movie Hairspray Live! She will star in the central role of Cher in the upcoming off-Broadway musical Clueless. With a Tony-winning score by Guettel and a Tony-nominated book by Lucas, The Light in the Piazza premiered on Broadway in a 2005 production featuring Tony-nominated direction by Bartlett Sher. Victoria Clark won a Tony Award for her turn as Margaret alongside Kelli O'Hara in a Tony-nommed performance as Clara. Additional casting for London's Light in the Piazza will be announced at a later date. Look back at Clark and O'Hara in the Tony Awards performance below.